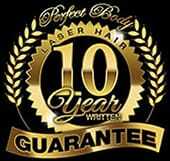 Perfect Body Laser and Aesthetics offers iGrow Laser Hair Rejuvination systems to our clients in conjunction with the Revage670 cold laser hair restoration Services. Cells absorb light and use it to repair themselves, grow or multiply. Studies proved that hair responds best to red light in the 650 - 670 nm wavelength range. The result from decades of research: iGrow, the world's most advanced hands-free hair rejuvenation system in conjunction with the Apria science Revage 670, is the very best in non surgical hair restoration. Non-surgical, expert, Revage 670 cold laser hair rejuvenation and igrow is offered exclusively at Perfect Body laser and Aesthetics in Bay Shore, NY. From our research to your home. Today, low-level lasers and improved technology make a portable, affordable and practical solution possible—enter the iGrow. 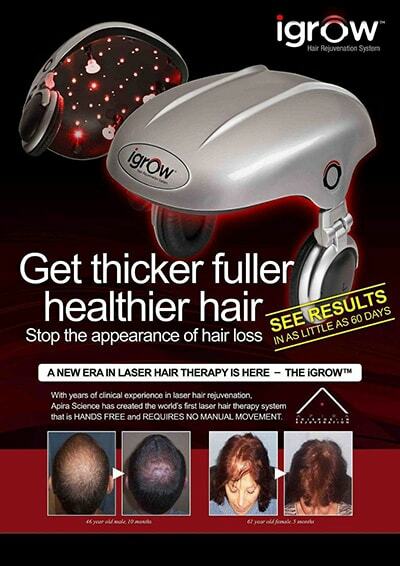 Now you can support your hair rejuvenation efforts in the comfort of your home! Hundreds of clinical studies have shown the effectiveness of low level laser therapy (LLLT) on various conditions including hair loss, carpal tunnel syndrome and acne.